1.1 When to see the doctor? 1.2 What can be done for unexplained weight loss? Weight loss is never unexplained. If one wants to lose weight, a clear diet or exercise plan is followed. It can be the in the form of reduction of body fluids, fats or muscle mass. However, there may be cases in which weight loss are unexplained and unplanned. This kind of weight loss is also usually drastic and happens over a short period of time. When this unexpected weight loss takes place, this is usually indicative of an underlying medical condition and usually presents as one of the many symptoms of a specific illness. Persistent weight loss of 5 percent or more of an individual’s body weight requires investigation and evaluation to determine the causes of the weight loss. There are several conditions that may precipitate significant weight loss in an individual. The loss of a significant amount of weight would usually be caused by a specific medical condition and the weight loss would just be one of its many presenting symptoms. Cancer. The condition itself and the treatment utilized may lead to unprecedented weight loss. This can be due to the fatigue and lethargy brought about by the illness as well as the changes in bowel habits, indigestion and the loss of appetite. Certain medications used in the treatment of cancer could also lead to nausea and vomiting and the loss of appetite thereby prompting further weight loss. Cardiovascular Diseases. Certain heart conditions like congestive heart failure could lead to unexplained weight loss due to the heart’s inability to tolerate heavy workload, which may be necessary in processing food. Depression. The major symptom associated with depression is the loss of appetite which could then lead to weight loss. Diabetes. This is a medical condition that could lead to unexplained weight loss if left undiagnosed. This is due to the inability of the body to break down and utilize glucose, which is necessary for the body to function. Eating Disorders. Conditions like anorexia and bulimia are just some of the eating disorders that may lead to significant weight loss. This is especially common among teenagers who have low self-esteem and disturbed body image. Gastrointestinal Disorders. 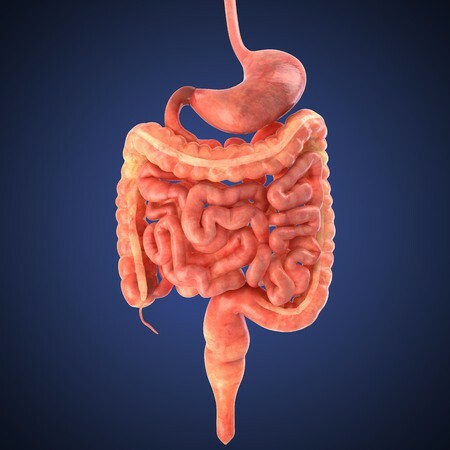 Crohn’s Disease, inflammatory bowel diseases and Celiac disease are just some of the few gastrointestinal diseases that cause significant weight loss. Infections. Bacterial and viral infections like tuberculosis and human immunodeficiency virus or HIV are known to cause weight loss among those who are known to suffer from these infections. Metabolic Disorders. Certain metabolic disorders like hyperthyroidism can eventually lead to weight loss because of the drastic increase in the body’s metabolic process. Stress. This is known to cause significant weight loss whether the cause of stress is a physical, emotional or mental stress. These medical conditions are just a few of the most common causes for unexplained weight loss. There are other conditions which also has weight loss as one of its many signs and symptoms. As soon as significant weight loss is noted, it would be best advised to seek consultation with a doctor to be able to determine the underlying cause. This significant weight loss is usually understood to be the loss of around 5 percent of the total body weight of an individual within the last 6 to 12 months. This could usually amount to 10 pounds or 4.5 kilograms in an average person. In addition, the loss of weight may be accompanied by symptoms including fatigue and lethargy, loss of appetite and a change in the eating and bowel patterns. What are the ways to identify and prevent unexplained loss of weight? Weight Identification. Every individual should be consciously aware of how much they would usually weigh in their normal and healthy state. This can be done by weighing one’s self daily in the morning. This is important so as for them to identify both weight gain and weight loss at the same time. Significant changes in weight may prompt a health conscious individual that there may be something which is outside of the ordinary. Determining Eating Habits and Physical Routine. Changes in the eating habits can lead to either weight loss or weight gain. It is therefore important that an individual is knowledgeable regarding one’s eating activities as well as the amount of caloric intake they normally take in. In addition, the amount of physical exercises done should also be determined as this can mean the burning of excessive calories, which could eventually lead to weight loss. What can be done for unexplained weight loss? The best option for those who have significant weight loss is to consult a doctor to determine the underlying condition that causes the weight loss. The doctors would need to perform physical assessment as well as may need to run some tests to be able to properly diagnose the cause of the weight loss. With the right diagnostic tools and the proper identification of other signs and symptoms, doctors would be able to identify the specific disease that leads to weight loss. Once identified, the doctors would then be able to address the disease depending on what it is. The treatment plan would also be dependent on the medical condition as different conditions employ various treatments. Nutritional assessment also needs to be done to effectively evaluate the amount of weight loss in an individual. This is important to be able to identify and restore back an individual to their healthy and normal state or specifically, to their ideal body weight. The ideal body weight of an individual is dependent on several factors which include but are not limited to the age, body physique, race and gender. Each of the factors should be correctly identified so as to be able to arrive correctly at the individual’s ideal body weight. Significant weight loss in an individual therefore requires the prompt attention of a physician to be able to determine the underlying cause. Earlier identification of the problem would allow doctors to be able to treat the condition at the earliest possible time thereby preventing complications and worsening of the condition.